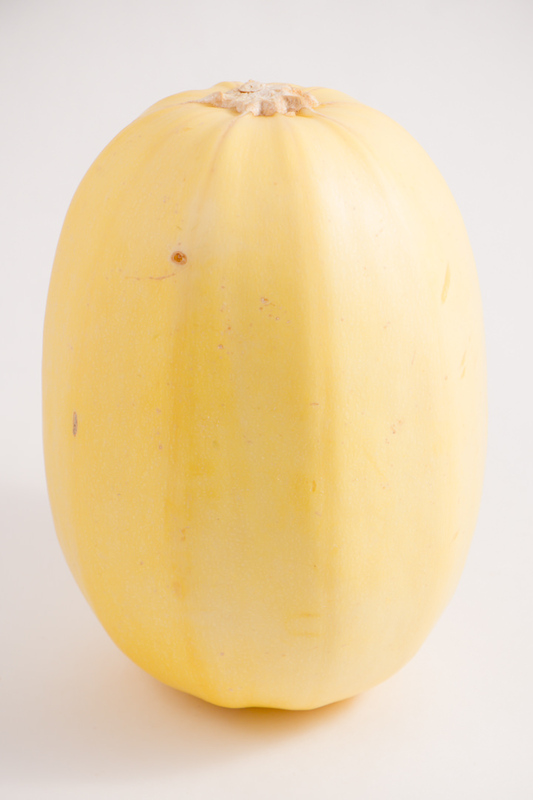 Spaghetti Squash is the vegetable that is more like a noodle. Who doesn’t love a low carb alternative to your favorite pasta dishes? I know Ii appreciate a little less carbs in my diet, plus Spaghetti Squash just tastes great. The dense heavy Spaghetti Squash can take an hour or more in the oven, but just minutes in an Instant Pot or pressure cooker. The video really shows it all, on how easy it is to prepare and cook the Spaghetti Squash, you will never go back to the old way of doing things. In the pressure cooker, you do not need to cut the squash in half first. Which for me is the most difficult to cut through the thick dense squash. It slices so easily once it’s cooked and perfect every time. Just wash your squash and poke holes with a knife or fork. Then rub with some olive oil and place in your Instant Pot. Add some water and set it to Manual to cook. When it’s done, I like to allow a 10 minute natural release before quick releasing the rest and opening the lid. 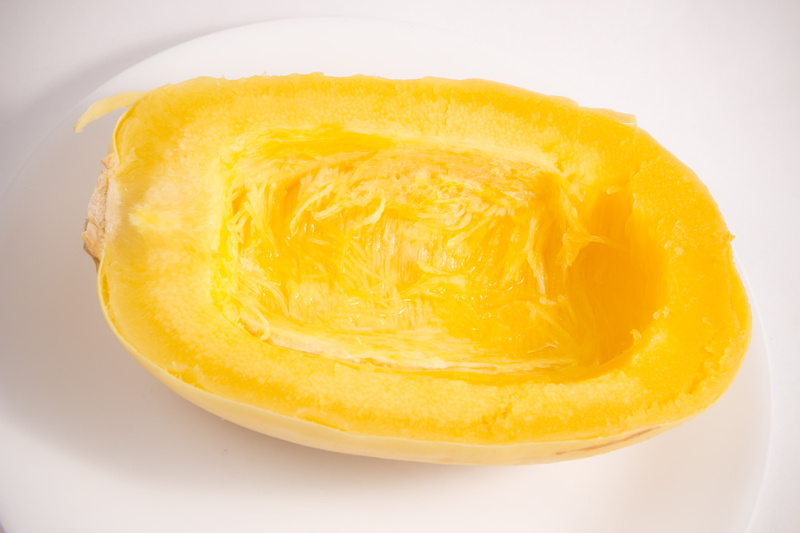 Pulling out the spaghetti squash can be hot, use a hot pad or small towel to hold in place to slice in half. Then carefully scoop out the seeds and throw them away. 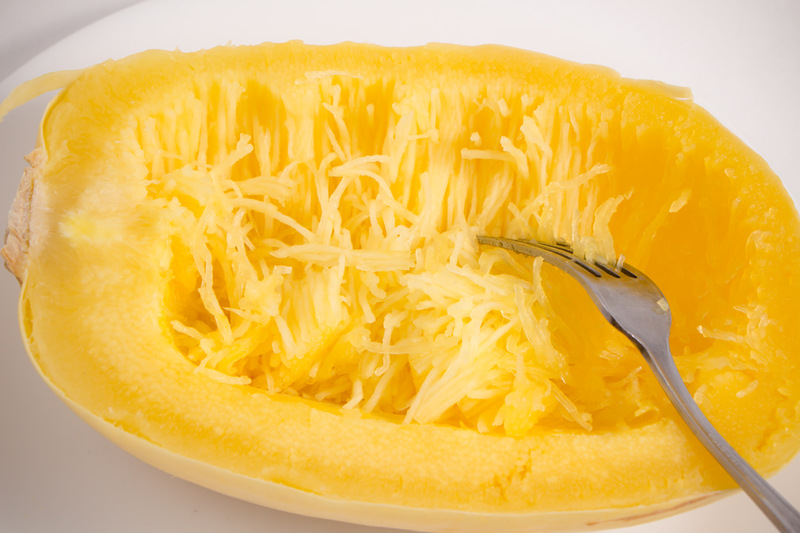 Your cooked Spaghetti Squash will only need a fork to pull away from the outer skin and will be in perfect “noodle” form. It’s just that simple. Sprinkle with Salt and Pepper and then serve anyway you prefer. Add Marinara Sauce, Alfredo Sauce, or eat plain. It’s delicious. Is your mouth watering yet? 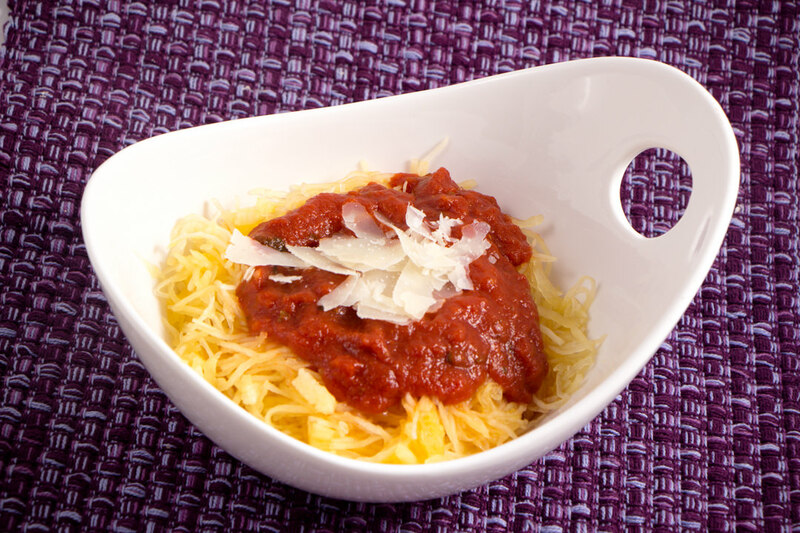 Spaghetti Squash is perfect for those trying to watch your carb intake, or someone who wants to add more vegetables to your diet. You really can’t tell a difference when seasons properly. 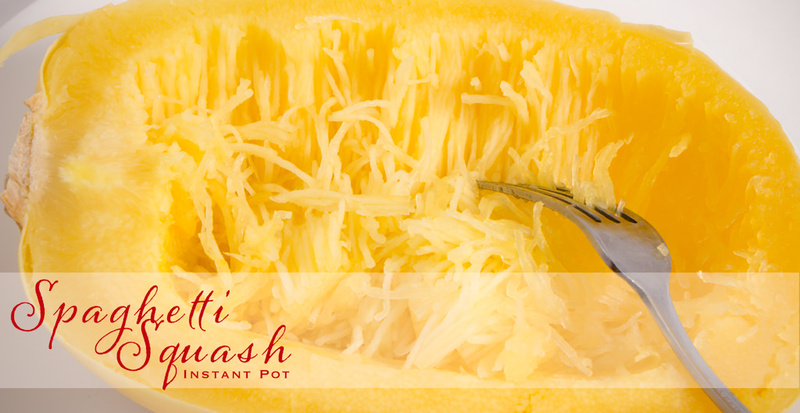 Cooking a Spaghetti Squash in the Instant Pot is quick, easy and delicious! Just 8 minutes. Rub with Olive Oil and Place Spaghetti Squash on rack in Instant Pot. Allow a Natural Release for 10 minutes then Quick Release. 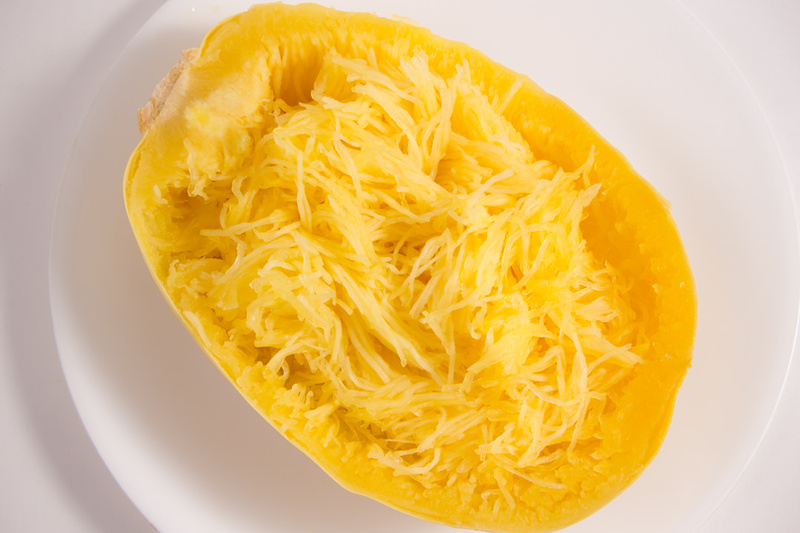 With a fork, shred Spaghetti Squash, add Salt and Pepper to taste and serve. 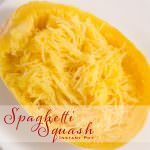 I just love spaghetti squash but it can be a pain to make sometimes! 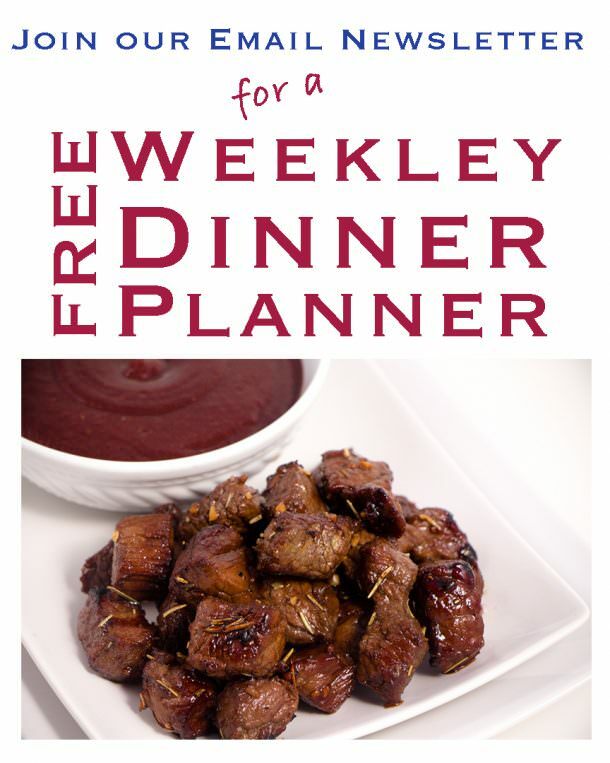 I need to try making it in my Instant Pot! I agree Ashley! It can be a pain to make but in the Instand Pot it is sooooooo easy. Give it a try and it us know what you think.